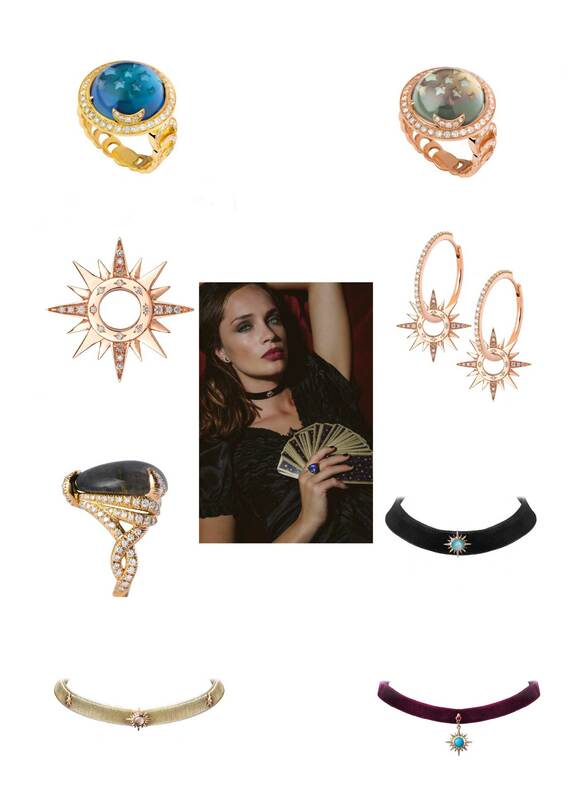 A fine jewelry brand created in Geneva in 2015, driven by the audacity and singularity of Jenny Dabbah, its bohemian-rock-spirited creator, the Jenny Dee jewelry line enchants women with its jewels hoisted to the rank of talismans. 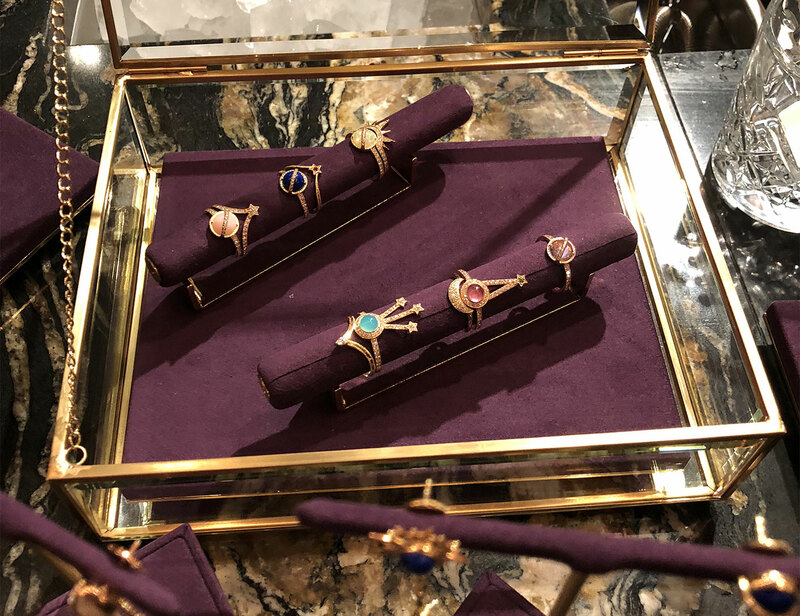 Handcrafted in Italy, with the finest know-how of the jewelry craftsmanship, the Jenny Dee jewelry line made of diamonds, precious or semi-precious stones, 18-carat gold and titanium creates an inspired, sensitive and harmonious universe. After Pléiadee and Mandalic, here is Enchanteresse, the new Jenny Dee collection that takes us into the captivating and magical world of tarology, divination arts and stars. The mood? Each jewel is designed to protect your energy and make you feel unique. Our favorite pieces? The Andromeda ring paved with white diamonds represents the phases of the moon and cabochon semi-precious stone that reveals a starry sky finely carved under the mount: sublime. Also, the ultra-sensual cosmic chokers, available in different velvet shades and diamonds set in 18kt gold. Verdict? We’re in love. Jenny Dee Jewelry, on sale at Mad Lords, 320 rue Saint-Honore, Paris 1st. Tel. 01 45 25 08 31.